Also wishing you all a very belated happy Diwali!! 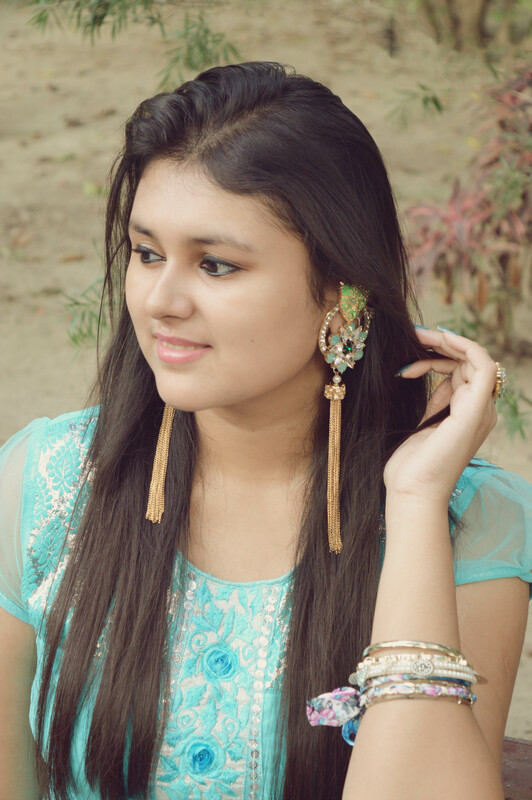 😁😄 Due to these festivities, I was a little caught up but voila, I have a new Indian outfit post for you guys! 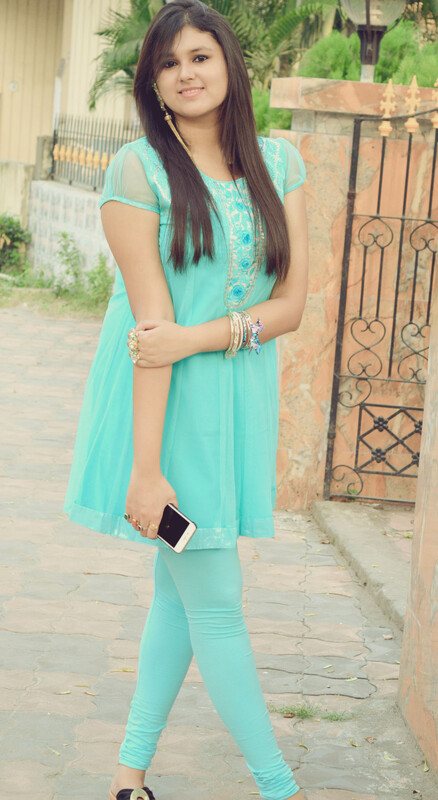 I am totally obsessed with blue these days after black! 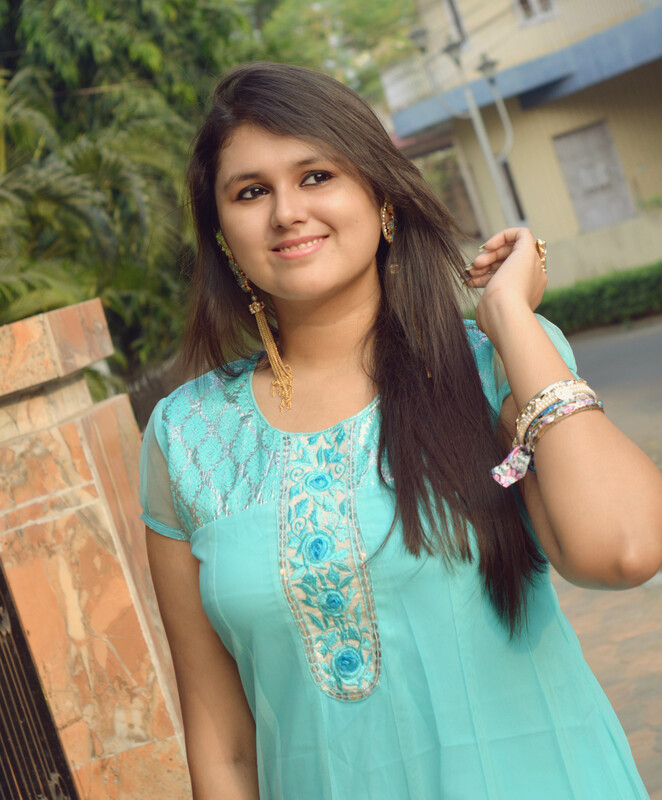 So coming to my look today, I am wearing a very pretty soothing sky blue Kurti from the brand Akkriti from Pantaloons fresh fashion with sky blue leggings! I love the color and the net detailing of this particular piece. 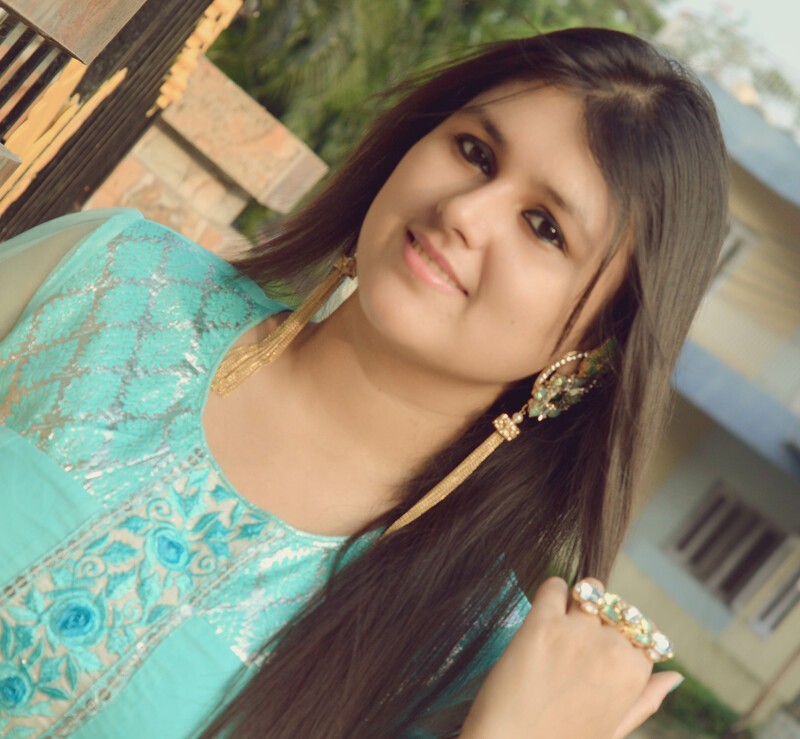 Not very into traditional looks but these net Kurtis give an ethnic look with a modern touch as well. Coming to the star attraction of the shoot my gorgeous jewelry from Ae Tee Designs and Charmed. Next is Charmed, I have worn a set of blue ribbon-ed bangles from Charmed and I absolutely love them. Do check out their collection on Instagram, @charmed.acc. WARDROBE COURTESY – PANTALOONS FRESH FASHION, CATWALKSHOES. 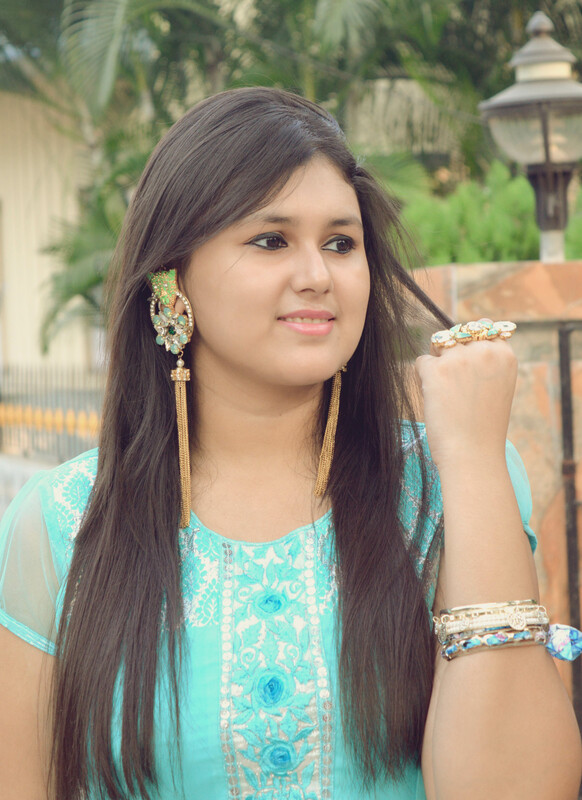 ACCESSORIES COURTESY – AETEE DESIGNS, CHARMED.